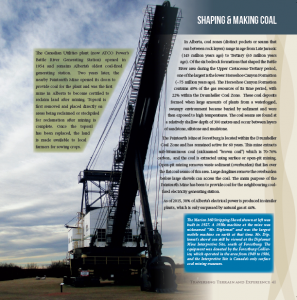 The Traversing Terrain & Experience Atlas is a new publication developed by the Battle River Watershed Alliance. This beautiful, 11” x 11” hardcover, sewn binding book contains 120 pages of local content. It makes a beautiful coffee table book or gift! This is no ordinary atlas; this is a compilation of stories, art, photography, geography, and interesting facts that make our home unique. It blends the science with the social, it reflects on how the land has shaped us, and how we have shaped the land. It expands our understanding of place, as it takes you through the story of a landscape rich in history, culture, resources, and inspiration. 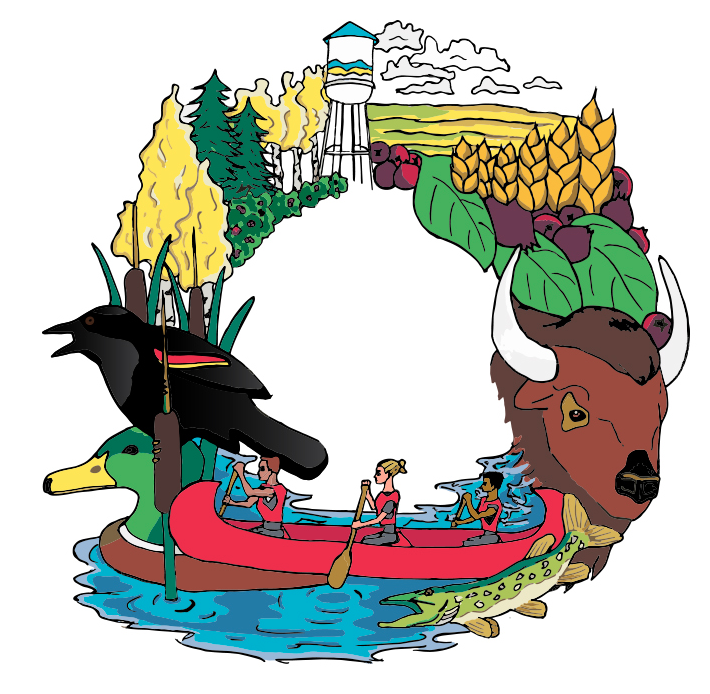 The Battle River and Sounding Creek watersheds region is expansive and diverse. 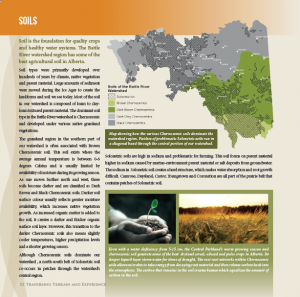 We have tried to balance the content of this atlas to ensure equal representation from urban and rural perspectives, from the western headwaters to the eastern confluence, from the northern parkland to the southern grassland, from past, to present, to future. The potential topics and stories are endless. Climate and Weather, Land Restoration, Energy Choices, Edible plants, Labour and Economy, Arts and Culture, Urbanization, Water Sources, Fish and Wildlife, Agriculture, and so many more. Supplies are limited. Simply fill out the form below to get started. Buy one copy for $35, including GST. If you buy 5 or more copies, get them for $30 each! To save you money on shipping, you can pick-up your Atlas in communities across our watershed including Ponoka, Wetaskiwin, Leduc, Camrose, Sedgewick, Hardisty, Wainwright, Consort, or Halkirk. If you would like the Atlas mailed to you, we will add $25 to the cost of your order. Thank you for supporting the work of the BRWA, and sharing your love of this place with others! Thanks for your interest in the Battle River Watershed Alliance's Traversing Terrain and Experience Atlas! Just fill out this form and we will contact you to arrange for payment and pick-up. The cost of each Atlas is $35.00, which includes GST. 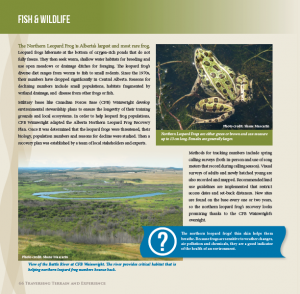 If you would like to buy more then 5 copies, you will save $5.00 per copy.To save you money on shipping, the BRWA has multiple pick-up opportunities in communities across the watershed, including Camrose, Ponoka, Wetaskiwin, Sedgewick, and Wainwright. If you need to arrange that Atlas to be shipped to you, it will be at your own expense.